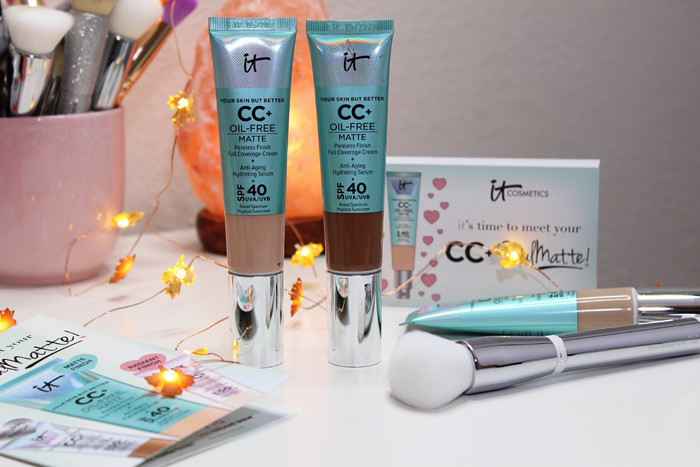 IT Cosmetics has a new addition to their Your Skin But Better CC+ line. It now comes in an Oil-Free Matte formula! They also included a few different shades. They recently added 48 shades to their Bye Bye Under Eye line. So I’m hoping they will start rolling out more shades for their other products as well. The IT Cosmetics Your Skin But Better CC+ Cream Oil-Free Matte with SPF 40 comes in the prettiest packaging. It claims to deliver color-correcting full coverage for a poreless, natural-looking matte finish. It also claims not to crease or crack while reducing oil and shine for up to 12 hours. It’s infused with charcoal to detoxify, colloidal clay to absorb oil, tea tree extract to combat blemishes, with anti-aging serum made of hydrolyzed collagen, peptides, niacin, hyaluronic acid, vitamins, and antioxidants. I’ve been wearing the shade Light for the past week. Their Light shade has always been a fairly decent match. However, I can’t help but feel like this one is a lot darker than their other Light products. It was also very thick and creamy. I ended up thinning it out a bit with my moisturizer and in the end it worked out beautifully. I used my trusty Beauty Blender to apply it. It applied nicely and did a great job at evening things out. Including my redness. I did have to build up a bit around my cheeks, but it built up nicely. I will say that while I didn’t experience any issues with creasing, if you get too carried away with the building up it will crease and even start to look a little cakey. I would probably reach for this during good skin days and maybe opt for something else when I need that extra coverage. Thankfully that’s not something I have to worry about these days. This CC+ Cream has really been doing the trick. I wouldn’t say it felt lightweight, but it did feel comfortable and more natural. I even feel like it looked more natural. It did start to break up around my nose and mouth after about 6 or so hours. But considering I wore this out during a heatwave (and my thinning it out) I’d say that’s still pretty good. I honestly don’t see this lasting 12 hours, but I would feel comfortable wearing this to work or a night out. I do want to note that I did set this with a powder afterward. I also used a setting spray. 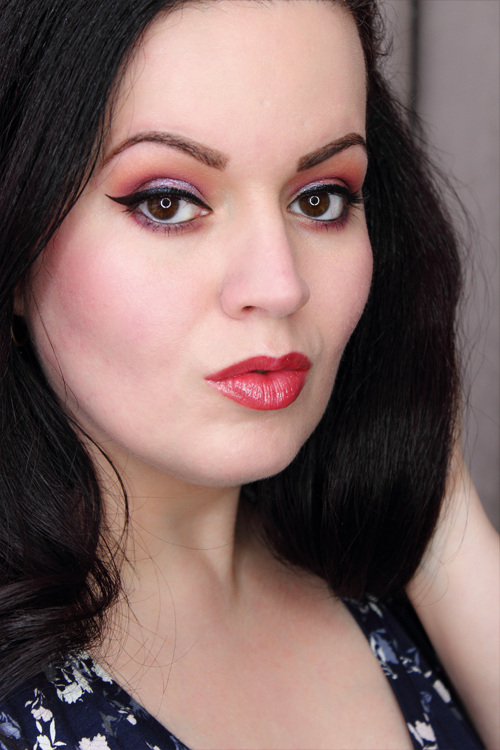 You can see the IT Cosmetics Your Skin But Better CC+ Cream Oil-Free Matte in the shade Light in action below. I ended up loving this CC+ Cream. I love it more than the original. I love the way it felt on my skin. I love the way it looked. It didn’t irritate my super sensitive skin. And I’m very impressed with how well it evened out my skin. This has really come in handy during the warmer days given that it offers sun protection and helps control oil. The only downside might be finding a shade that will work for you. 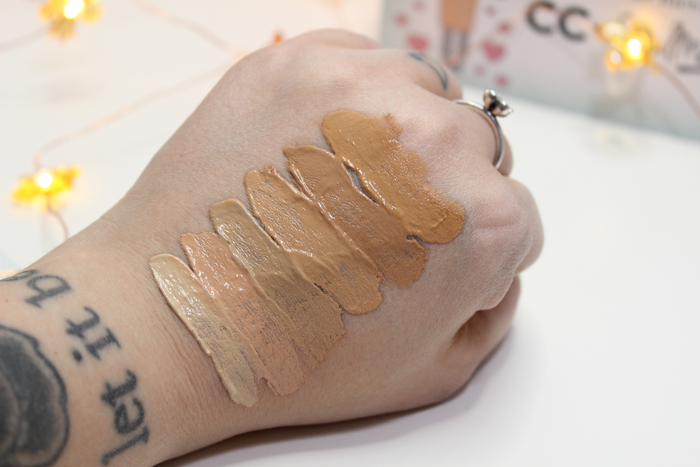 Have you tried the new IT Cosmetics Your Skin But Better CC+ Cream Oil-Free Matte? What foundation have you been wearing this Summer? This looks great on you – very fresh and not flat looking. I haven’t tried the new matte one – I only just got around to trying the original which I do like a lot. I got the shade in Light which I found is just a touch too dark for me – I wished the Fair Light wasn’t so peachy looking. I might have to mix 2 shades to get my match. Thank you! Finding that perfect shade seems to be an issue. But they seem to be expanding with some products. Here’s to hoping we start seeing some more shades soon! Have you ever tried any of those lightener/darkener drops? I’m wondering how those would work with these? This cream looks great on you. How do you get it to look so smooth, especially around the nose? Are you using a illuminating or a moisturizing primer? I have fallen in love with this brand. Thank you so much, Susie! Right now I’m using The Ordinary High-Adherence Silicone Primer. Besides that and my good old Beauty Blender that’s about all I do. If you zoom in you can actually see some red poking through my nose. My rosacea affects my nose and there are some broken capillaries that are still very much visible. 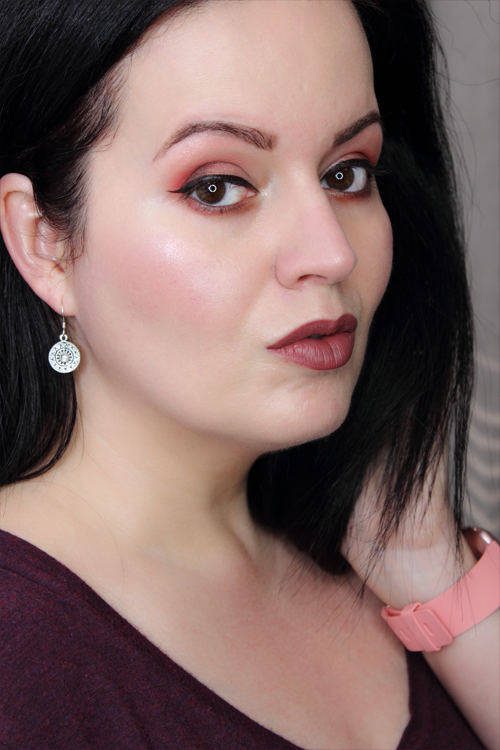 But my treatment for rosacea has taken care of the bumps on my face so that really helps my makeup to look smoother these days. Hope that helps! I’ve been using the Illumination version and really enjoy it. I would like to try the original as well. I haven’t tried much from It Cosmetics but I would like to try more. That’s one I have yet to try! I was thinking of trying it out though. I’d like to compare it to the others. I didn’t buy this because I don’t think it’s right for my skin type and judging from your review, I wouldn’t enjoy the texture either. It ended up working beautifully for my skin type. And the texture does take some getting used to, but with a little extra help it was really nice! It does look very natural on you, the finish is really skin like. 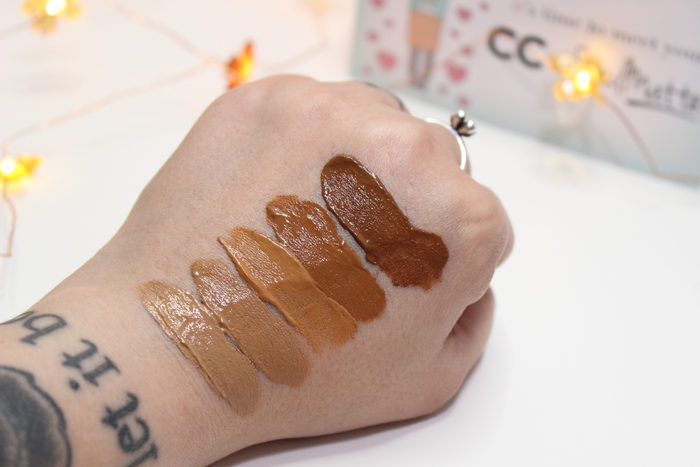 I also hope IT starts rolling out more shades in their CC cream range. If they can do it with concealers they can do it with foundations! It really does! And I hope so too! I don’t usually care for BB or CC creams much. But IT Cosmetics makes some really great CC creams!